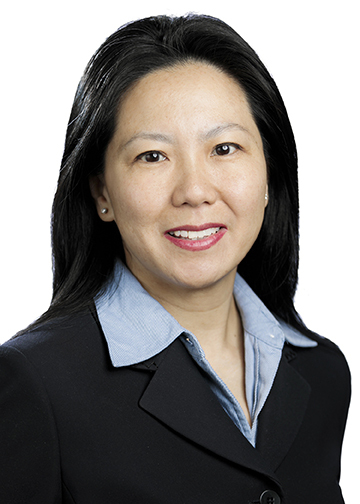 Gloria Tsui-Yip - Gottlieb, Rackman & Reisman, P.C. Gloria Tsui-Yip’s practice involves obtaining, protecting, and enforcing intellectual property rights for her clients. Ms. Tsui-Yip prosecutes applications, provides opinions and litigates intellectual property matters, including utility and design patents, trademarks, copyrights, trade secrets and/or unfair competition. Ms. Tsui-Yip is experienced in transferring intellectual property rights through the licensing and the sale of business, including associated due diligence and opinion work. Ms. Tsui-Yip has been involved in numerous litigations before the federal courts and proceedings before the Trademark Trial and Appeal Board of the U.S. Patent and Trademark Office. In addition, Ms. Tsui-Yip counsels clients on worldwide (both online and off-line) protection and enforcement of intellectual property rights. Ms. Tsui-Yip is experienced in electronics, electrical, mechanical, internet-related, software, and wireless subject matters. Ms. Tsui-Yip represents individuals and businesses, including non-profit organizations, in the fashion, beauty, food, alcoholic beverage, toy, jewelry, pet, stationery, polymer, fastener, medical, dental, publishing, automotive, certification industries and with various consumer and industrial goods. Prior to joining Gottlieb, Rackman & Reisman, P.C., Ms. Tsui-Yip was a founding partner of a boutique intellectual property firm.